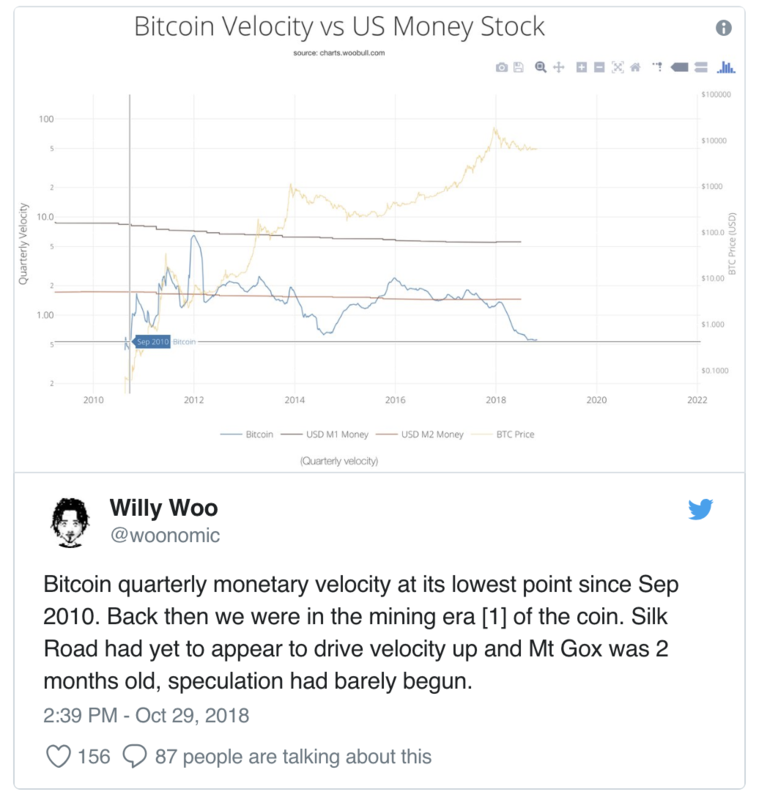 That was the message from data analyst Willy Woo October 29, who uploaded new data tracking quarterly velocity for Bitcoin versus USD money supply. At its current level, the data shows velocity matches that last seen in 2010, when the cryptocurrency ecosystem was months old. “Silk Road had yet to appear to drive velocity up and Mt Gox was 2 months old, speculation had barely begun,” Woo noted. Monetary velocity refers to the rate – or frequency – at which currency changes hands. Research from various sources into the circulation of the Bitcoin supply earlier this year confirmed a sharp decline in activity following 2017’s all-time price highs, with investors keen to use their holdings for investment rather than payment. Going forward, Bitcoin’s $6353.18 -0.76% correction of its precipitous rise to $20,000 could continue beyond the short term, Woo suggests. “One does not simply turn a bear market around without sufficient monetary velocity as its fuel,” he wrote, adding a further chart of Bitcoin outputs. Commentators from both within and beyond the cryptocurrency industry had renewed their faith in an impending reversal of the current bearish trend this month, with figures such as Tom Lee and Mike Novogratz both forecasting an unexpected price jump. 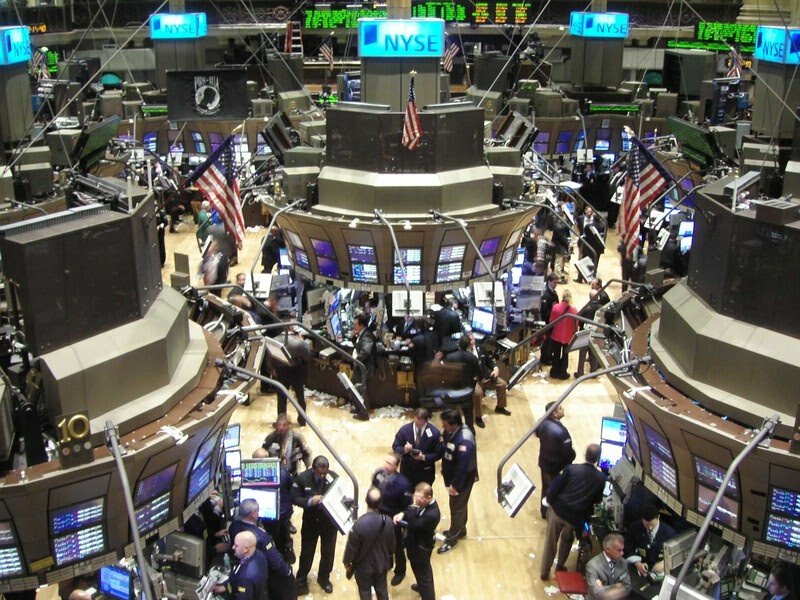 For the latter, institutional money pouring into Bitcoin via regulated instruments, starting with Intercontinental Exchange’s Bakkt in mid-December, should begin to impact prices by Q3 2019. For Woo too, the “longer term” picture is something to be confident about. “Bitcoin is on the base of an adoption curve that will continue to drive one of the biggest bull runs in history,” he concluded. What do you think about Bitcoin’s monetary velocity? Let us know in the comments below!